"He left to the grocery store on Sunday and I haven’t seen him since.” Julian Assange has been residing in the Ecuadorian Embassy, London, over 4 years, and certainly hasn't been to any grocery stores - anywhere. He is liable for arrest and extradition to Sweden, then probably the US should he leave the embassy. He surely would not venture outside the embassy - police would be waiting, most definately. “I haven’t seen my father for 3 days”, a worried Daniel Assange told press early Wednesday morning. Julian Assange is an Australian computer programmer, publisher and journalist. He is editor-in-chief of the organisation WikiLeaks, which he founded in 2006. 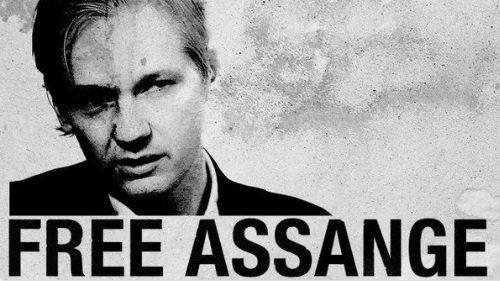 The disappearance of Assange follows a long period in which ‘Wikileaks’ actively leaked classified documents and Hillary Clinton emails. Democratic party leaders have called Assange a criminal and threat the United States. Authorities in Ecuador, where the disappearance is being investigated, are yet to comment on the missing persons case. Assange To Be Removed From Ecuador Embassy? Julian Assange BREAKS SILENCE on His Source…It All Makes Sense Now! Is Pamela Anderson Dating Julian Assange?